rocky's bru: Replacing Bashir with an outsider - Whatever happened to homegrown talent? Replacing Bashir with an outsider - Whatever happened to homegrown talent? On the appointment of Datuk Azman Mohd as the new CEO of TNB, Najib said he had fulfilled a pledge to TNB employees to appoint a home-grown talent to the post. "TNB is an organisation whose excellence is beyond doubt. As such, when it came to a transition in the top management, I told their unions that if they had someone from within, I will appoint that person as the chief executive. "In accordance with our slogan of "Promises Fulfilled", my pledge to the TNB employees has been fulfilled. We are proud of the home-grown talent of Datuk Azman who is qualified to be the CEO and President of TNB," he said. If newspaper "speculation" about MDeC CEO Badlisham Ghazali replacing Tan Sri Bashir Ahmad at Malaysia Airpots turns out true, we can speculate that somebody at Khazanah Nasional obviously does not subscribe to the Prime Minister's belief that the top post in a GLC could - and should - be filled by an insider. Sure, Badlisham is a vastly experienced chief exec - 8 years at MDeC developing the nation's multimedia industry and prior to that 18 years selling computers and programs for HP when it was the largest personal computer maker - but surely it is injustice to expect him to fill half of Bashir's huge shoes. And that is exactly what Khazanah will be seen as doing here. Doesn't MAHB has someone from within that Najib Razak can appoint as the new chief executive? Actually it does. Bashir has earmarked a couple of insiders who are now ready to take up the top job. Bashir's tenure as MAHB CEO, which has been extended a couple of times by the government, expires end of next week on June 6. 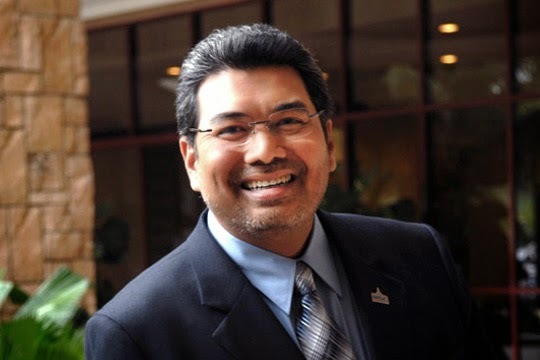 Given his wealth of experience and his global stature, the MAHB Board wants to retain him in some advisory capacity but Khazanah, it seems, wants to let Bashir go officially first before considering re-engaging him. Surely, too, this man whom the global airport-aviation industry is naming its Man of the Year this weekend, deserves more recognition from his own shareholder? An IT man runnning an airport? It reminded of Shahrol the IT guy wh runs 1MDB. And it is the repeat of MAS where non airliner were appointed ceo like mice fixing pumpkin. Biar mati anak jangan mati adat. Najib's record is poor on talent. Look at Felda.... Petronas ? Top talent there gone and replaced by cronies. So don't put the blame on just Khazanah - the man at the top is just as much to blame. Knowing how Najib managing ting's ,all these years ,what could be said ?. Maybe he should return back to Mas so that he can make it profitable again. After all, the current Mas management team has been losing money for many years. The most losses the past 3 years! Time for change. Ubah for profits! Maybe Basir can go back to Mas. Turn it around. Make profits like what he did with MAB. Dont go and lose his talents. Mas keep losing money for umpteen years. The worst is the past 3 years where the ex-MD is the new chairman and the current MD and management is not good businessmen. Since when did Khazanah is capable of making good decisions? Especially after Tun Mahathir left the government, this Temasek-wannabe has consistently proven to be a national embarrassment. Look at that MAS-AirAsia share-suap, that is one gliterring example. Let that computer guy to continue helm MDeC or other ICT-related businesses and get someone from within MAHB to lead the airport business. Why must you mend something which is not broken in the first place? Malaysia is generally very good at shooting its own foot countless times. 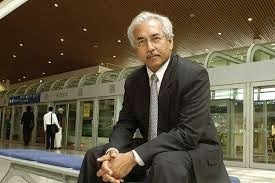 Maybe khazanah has enough of this guy under whose watch klia2 ballooned from 2billion to 4++ billion.Enough said. But is Bahhir a Malay ? I know him from his childhood's days in Penang and worked with him for years in MAS. He is no Malay, he is just like egregious Mahathir a half breed mamak. He has Australian wife and several children who are in possession of Australian papers and for sure will one day soon settle down in Australia. They are too good not to mention the fact that they do not have a single Malay gene in them. Please do not call them as Malays because they are not Malays but Australians for sure ! Isn't this the same Tan Sri Bashir Ahmad who passed away in Singapore? "Former Maybank chairman Tan Sri Mohamed Basir Ahmad, the husband of former international trade and industry minister Tan Sri Rafidah Aziz, has passed away early today." Whatever, may his soul rest in peace. President of Airport Council International's Asia-Pacific Region and EXCO Member of its World Governing Board. His words carry weight at an international level but sadly not at home..
Two different men - the Tan Sri you mentioned was Rafidah Aziz's husband. Alfatehah, God bless his soul. Dr Mahathir and Bashir are Malays, just NOT the kind of Malay you probably (think you) are. Our Constitution has made it such that it is convenient to be a Malay; Kit Siang can be defined as a Melayu today if he wishes to and perhaps he'd be your kind of Melayu. Badlisham is a Malay but the fact is not all Malays can manage airports or, for that matter, sell computers. Temasek's rots and blunders are well-guarded secrets! And, its not bloopers! So don't come and try to patronise Temasek by making Khazanah the scapegoat. You think you know it all? Go back to to your wet dreams mate!